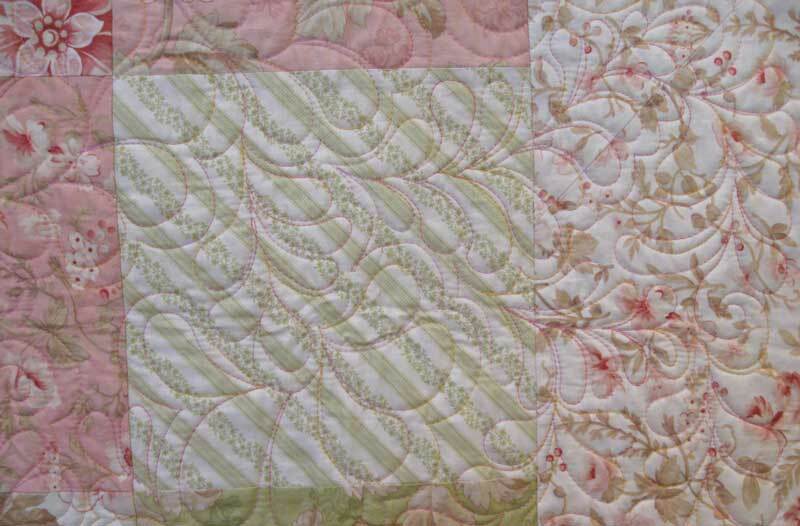 I had the opportunity to custom machine quilt this beautiful top for a quilting friend. 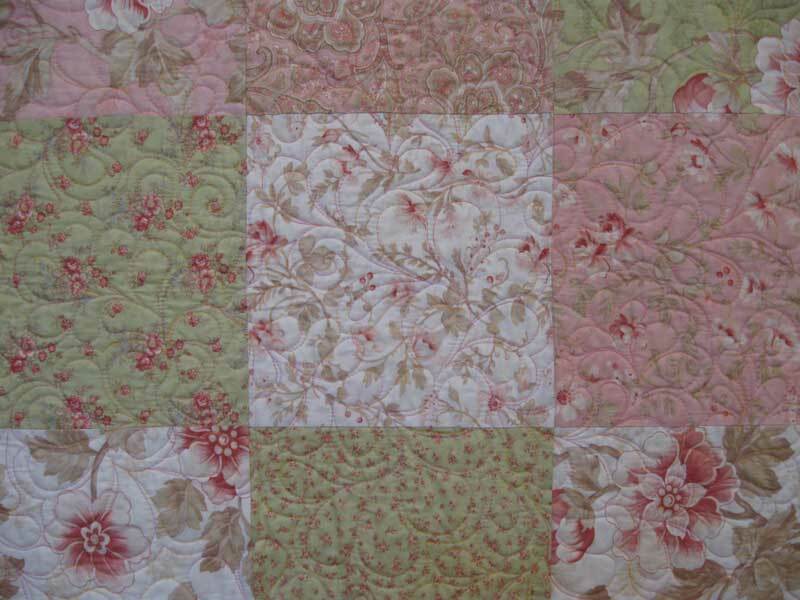 She picked out a beautiful collection of Moda prints in soft pinks, greens and creams and surrounded the center squares with a coordinating floral print. Here is a closer look of some of the fabrics. I found the perfect variegated thread. A 50 wt. 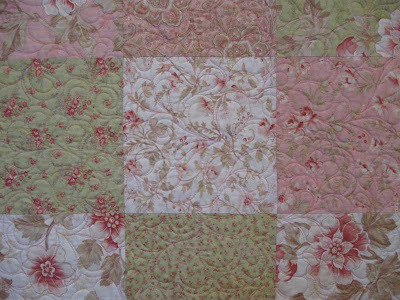 cotton in shades of pink with touches of sunshine yellow. 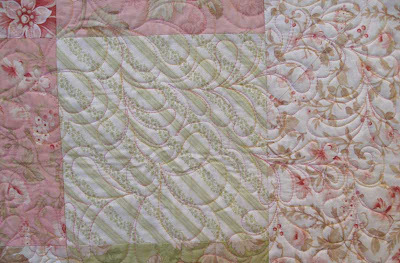 The freeform feathers and swirls meander across the prints and paisleys of this 80" x 63" quilt. It was like strolling through a springtime garden. 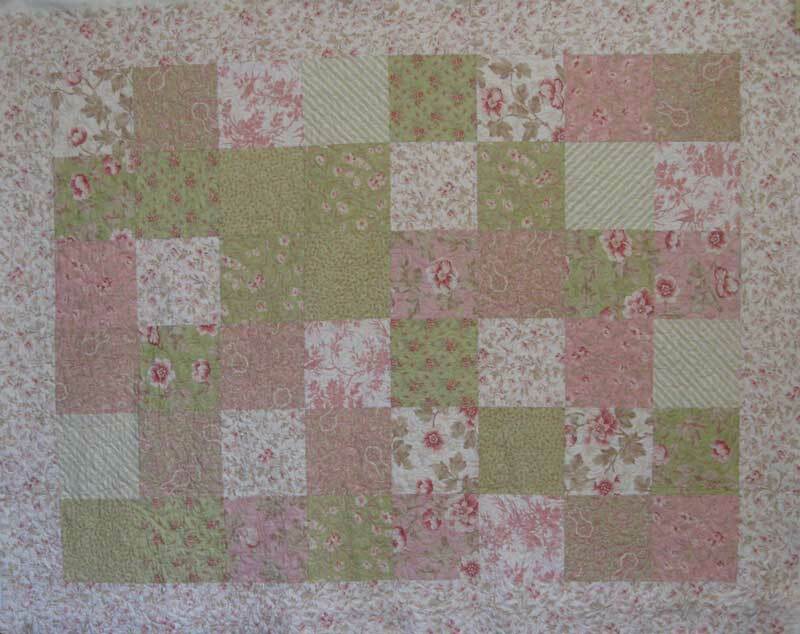 I'm sure the daughter that gets this quilt will love it!